Shop for your organic groceries online, choose the quantity you need and get it delivered to your door - nationwide from Cape Reinga to Stewart Island and everywhere in between. 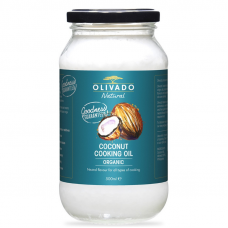 We offer an extensive range of organic bulk foods, organic groceries, wholesome foods, natural foods, NZ made food and gluten free food online at family friendly prices. Shop for your pantry staples online at Family Pantry. All of our organic bulk food repacks come in biodegradable and compostable packaging. You are helping to reduce plastic packaging by buying from us! We want our footprint to be as small as possible. Bragg Apple Cider Vinegar, 473 mlThe new daily health tonic What is it?Certified Bragg ..
A versatile vegetarian favouriteOrganic Brown LentilsLentils have been part of the human die..
Chantal Organics Baked Beans, 400gPerfect for a quick meal, made from a family recipeWhat ar..
Bio Granoro Mezze Penne Rigate, 500gHigh-quality, Italian & Organic certifiedWhat is it?.. Organic Brazil Nuts, wholeSimple, delicious & packed with antioxidantsWhat are they?Sour.. Delicious and nutritious seedOriginally a favourite in Mexican cooking, now used around the worl..
Great in sweet and savoury dishesCultivated for more than 5000 years and originally used by Nati..
An acclaimed super-foodMulti-use and full of energyWhat is it?The word 'chia' comes from..
Organic Cashew Nuts - sweet and creamy wholesome snackOrganically grown, carefully selectedW..
Organic Dates, whole dried, pitted, rawRipe tropical goodnessSourced and sun dried at the be..
Olivado Lime Infused Avocado Oil, 250mlSmooth, healthy and infused with limeWhat is it?E.. Fix & Fogg Honey Peanut Butter, 275gWhat is it?Fix & Fogg Honey combines golden roasted crun.. Fix & Fogg Coffee and Maple Peanut Butter, 275gWhat is it?The breakfast of champions. Coffee..
Olivado Organic Coconut Cooking OilPure & naturalWhat is it?Olivado Organic Coconut Cook..
New Zealand grown, white Quinoa, spray-freeModern-day superfood.What is it?Quinoa is an ..
Organic Spelt FlourBiodynamically grown and milled here in New ZealandWhat is it?Spelt f..
Ceres Organics Roasted Seaweed Teriyaki Snack, 5gNutrient rich snackingWhat is it?This c..
Homemade & Healthy Recipe Book - Volume 1Gifted to you from the hearts and minds of the Tauranga..
Organic Spelt, hulled (whole grain)Biodynamically grown here in New ZealandWhat is it?Sp..
IncaFe Organic Drinking ChocolateWhat is it?Nothing could be finer than a hot mug of organic..
Rapunzel Milk Chocolate with Hazelnuts 38% Cocoa, 100gWhat is it?This delicate blend of crea..
Rapunzel Milk Chocolate 38% Cocoa, 100gWhat is it?This is a delicately smooth, rich milk cho..
Toasted Nori Seaweed, 7 sheetsWhat is it?Japanese Nori is a sea vegetable that has been drie..
Organic Wasabi Powder, 50gWhat is it?This bag of powdered goodness is made simply from the r..
Organic Sushi Rice, whiteWhat is it?Japanese rice (or sushi rice) is the staple of the Japan..
Family Pantry Gift BasketNeed some Christmas gift inspiration this year? 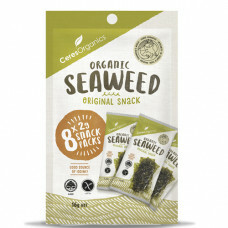 Why not give something ..
Ceres Organics Roasted Seaweed Snack Multipack, 8 x 2gNutrient rich snackingWhat is it?T..
Organic Tamari Roasted Almonds*sourced from a certified transitional farm.What are they?.. Organic Dried Cranberries (Apple Juice Sweetened)An outrageously snackable superfoodWhat are..
Get your organic food delivered to your door with low cost delivery or collect your order from Te Puke. 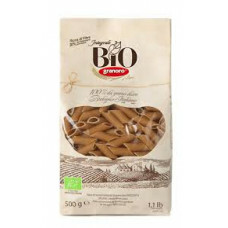 We pack your food in biodegradable and compostable packaging - we use it for all our organic bulk food repacks. We are proud to be a family owned business offering reliable and friendly service.